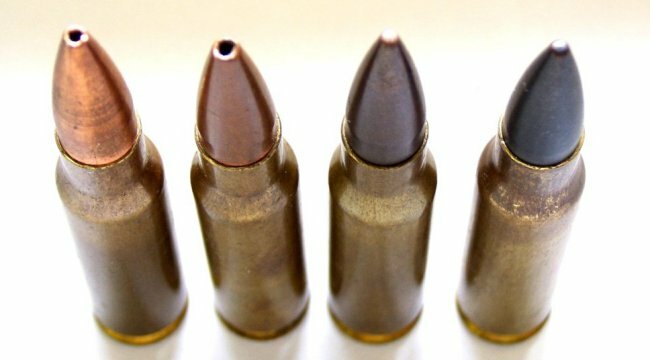 This round uses a hollow point projectile with a tungsten penetrator core, fired at a muzzle velocity of about 2,550 feet per second. 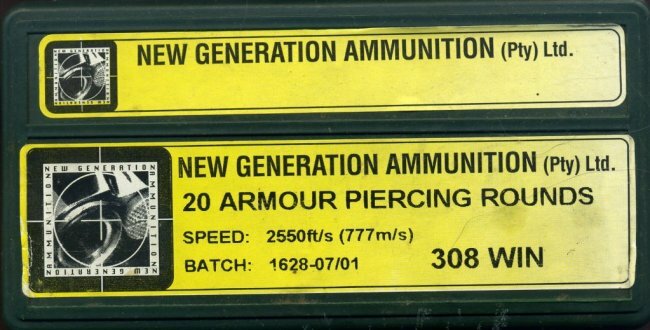 These were developed in South Africa by New Generation Ammunition for a specific client, circa 2001. Apparently these were designed for law enforcement use with the goal of penetration of aircraft windows with minimum deflection upon penetration. The sectioned cartidge shows the tungsten penetrator and details of the hollow point design. Headstamp on this cartridge is IMI 308 WIN MATCH. Sectioned cartridge with intact example followed by three of the deveopmental versions. 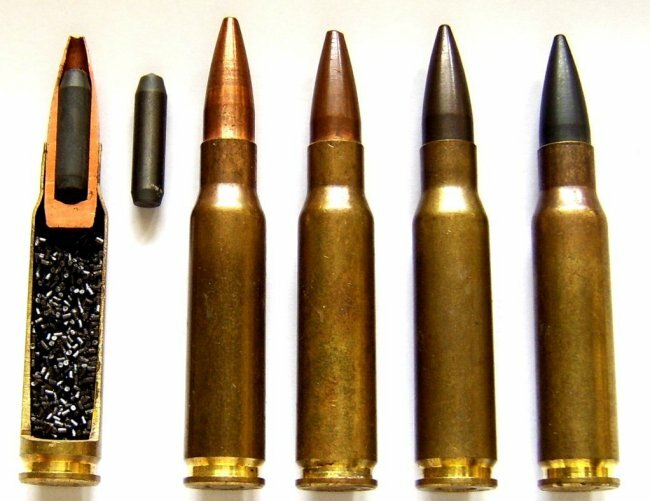 Details of the bullet tips of the cartridges shown above. Production round on the left with three developmental cartridges, one with hollow point and two without hollow points which seem to be Moly coated.